The vacation you always dreamed ! 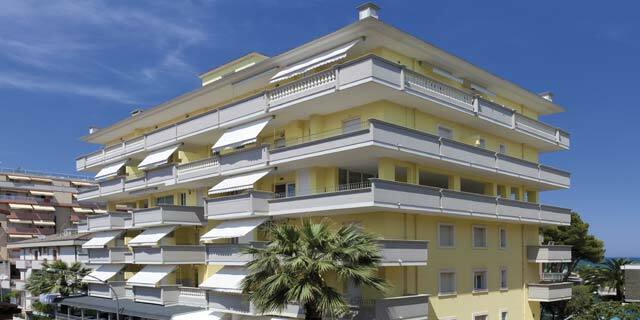 Costa Residence in Alba Adriatica, Abruzzo, is an elegant 3 stars housing estate overlooking the sea. It also stands near a pinewood (equipped with playground for kids), a promenade and the seafront bicycle path (connecting Alba Adriatica to Tortoreto). Costa Residence apartments are modern, comfortable, efficiently cleaned and fully equipped. 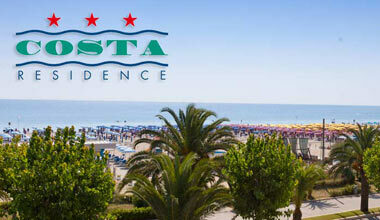 Your beach vacation at the Residence Costa in Alba Adriatica Abruzzo. Costa Residence has been recently renewed, and is composed of different types of apartments, most of them available with sea view: two-room, threeroom, threeroom superior , threeroom plus e four-room deluxe apartments. Guests will surely appreciate the silver sand beach in front of the Residence and bordering the wide local pinewood. The animation team turns on your vacation with multiple different programs for young and adults! Moreover, they won't be annoying anybody who don't want to join the games and just prefer a moment of relax. 8 flats in total, for a maximum of 6 person, adults and kids. For a maximum of 6 person, adults and kids. 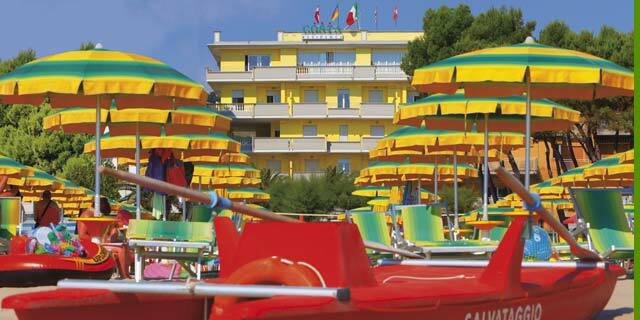 (For a maximum of 6 person, adults and kids) with two bathrooms and outstanding sea view. 2 available, maximum of 8 person per apartment, adults and kids) with two bathrooms and outstanding sea view. The animation team turns on your vacation with multiple different programs for young and adults! Moreover, they won’t be annoying anybody who don’t want to join the games and just prefer a moment of relax.